1. Which of the following statements about T cells is false? 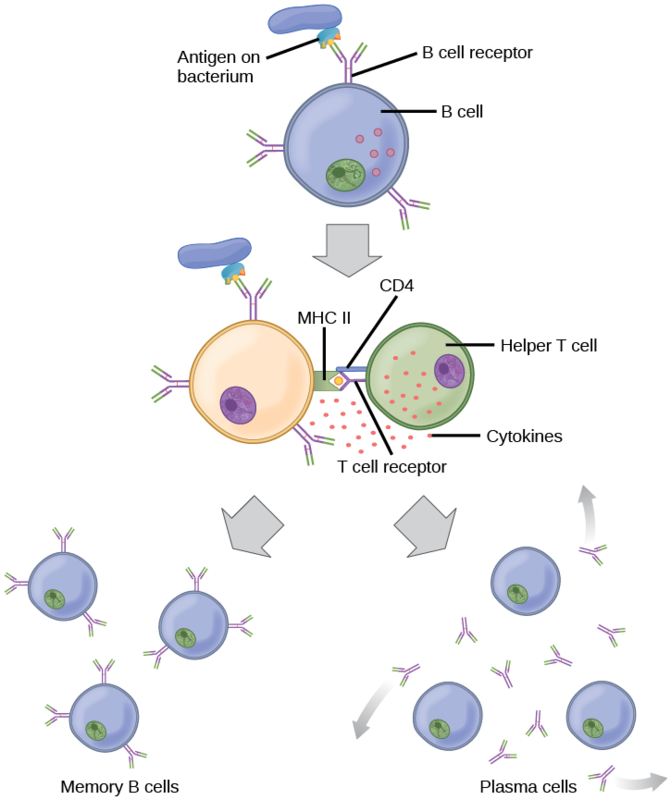 A) Helper T cells release cytokines while cytotoxic T cells kill the infected cell. 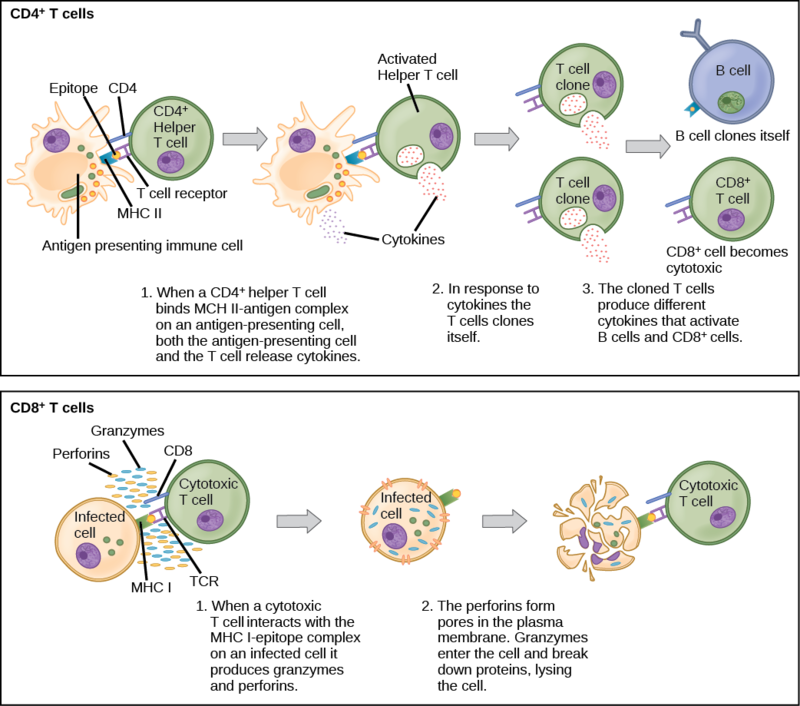 B) Helper T cells are CD4+, while cytotoxic T cells are CD8+. 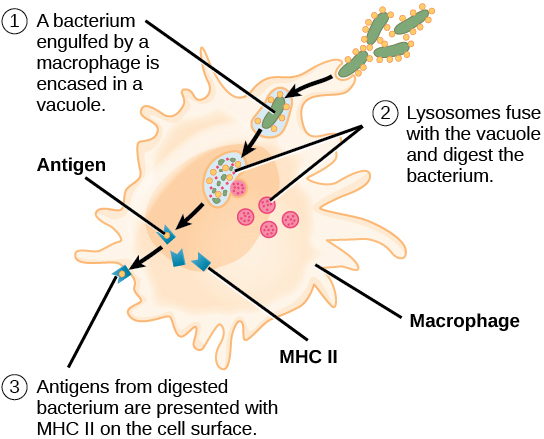 C) MHC II is a receptor found on most body cells, while MHC I is a receptor found on immune cells only. D) The T cell receptor is found on both CD4+ and CD8+ T cells. 2. Based on what you know about MHC receptors, why do you think an organ transplanted from an incompatible donor to a recipient will be rejected? 3. 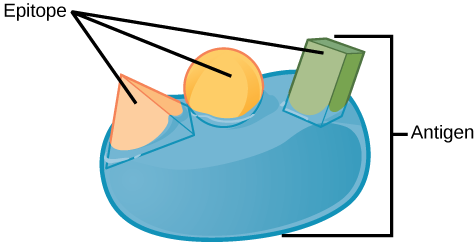 The Rh antigen is found on Rh-positive red blood cells. 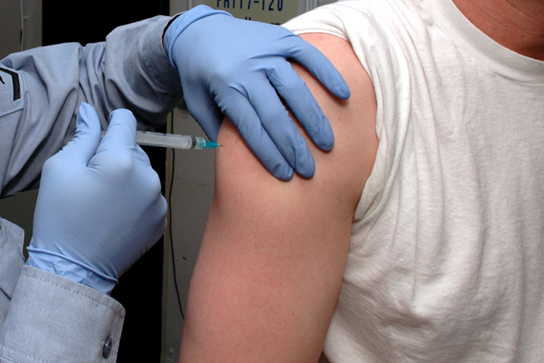 An Rh-negative female can usually carry an Rh-positive fetus to term without difficulty. 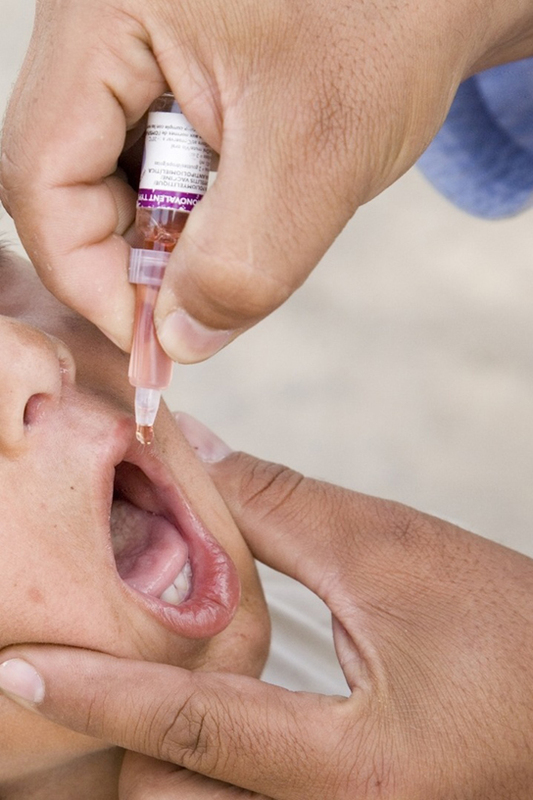 However, if she has a second Rh-positive fetus, her body may launch an immune attack that causes hemolytic disease of the newborn. Why do you think hemolytic disease is only a problem during the second or subsequent pregnancies? 4. 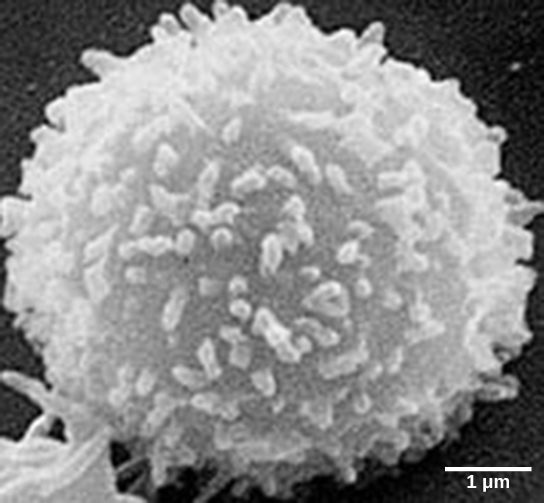 Which of the following is both a phagocyte and an antigen-presenting cell? 5. 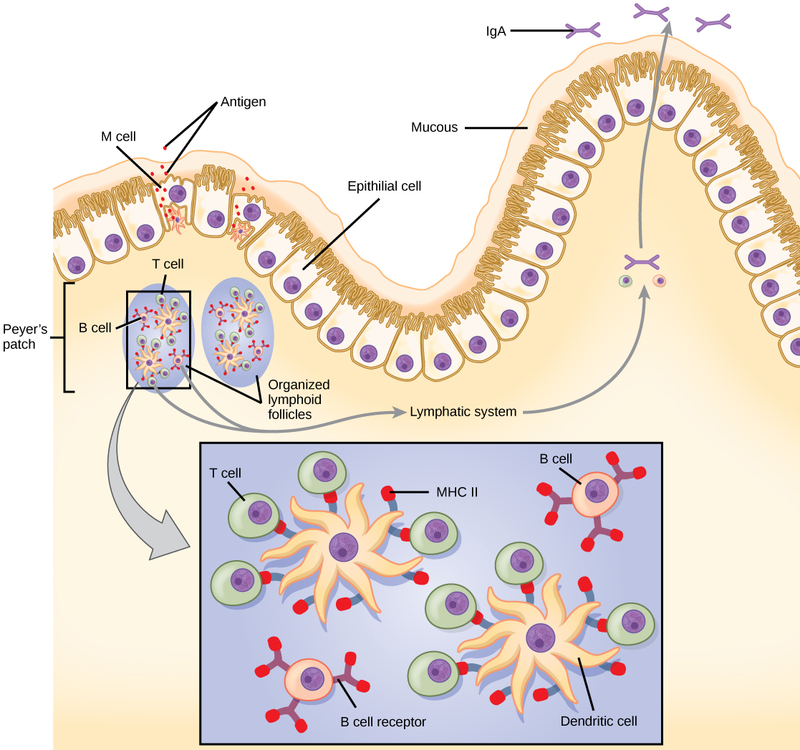 Which immune cells bind MHC molecules on APCs via CD8 coreceptors on their cell surfaces? 6. 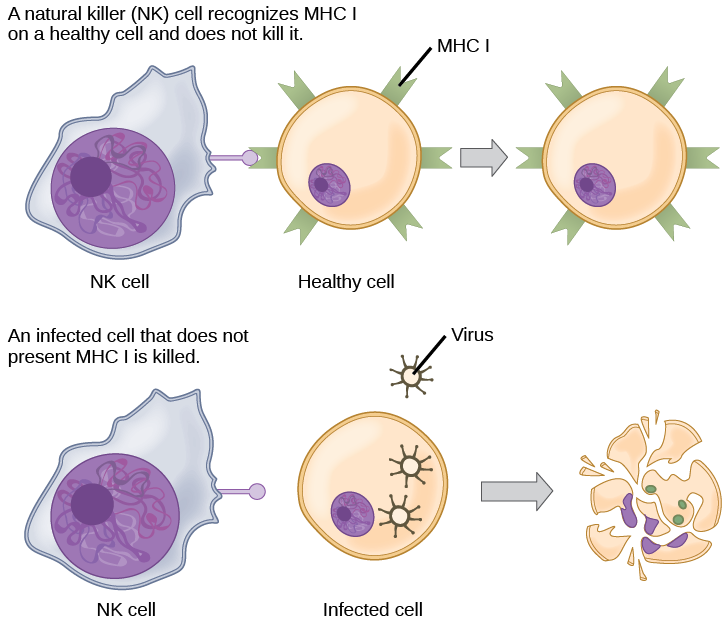 What “self” pattern is identified by NK cells? 7. The acquired ability to prevent an unnecessary or destructive immune reaction to a harmless foreign particle, such as a food protein, is called ________. 8. 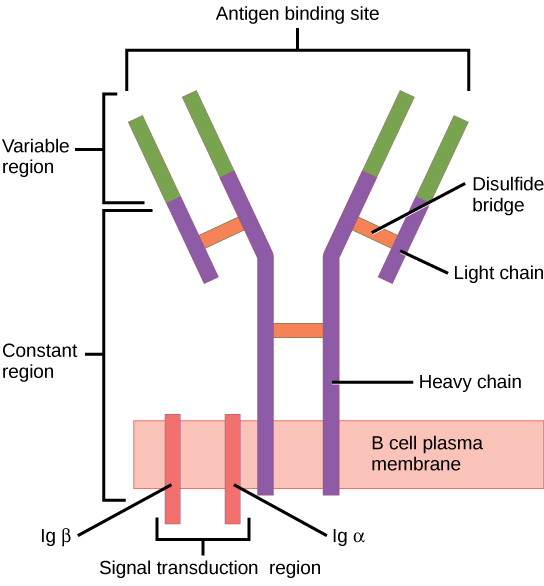 A memory B cell can differentiate upon re-exposure to a pathogen of which cell type? 9. 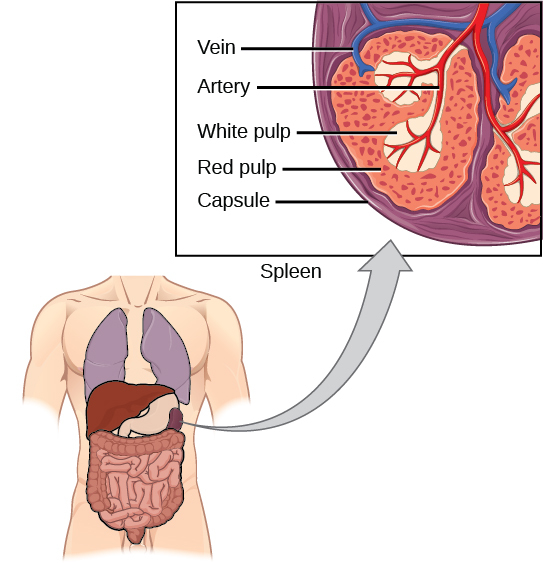 Foreign particles circulating in the blood are filtered by the ________. 10. Explain the difference between an epitope and an antigen. 11. What is a naïve B or T cell? 12. How does the TH1 response differ from the TH2 response? 13. In mammalian adaptive immune systems, T cell receptors are extraordinarily diverse. What function of the immune system results from this diversity, and how is this diversity achieved? 14. 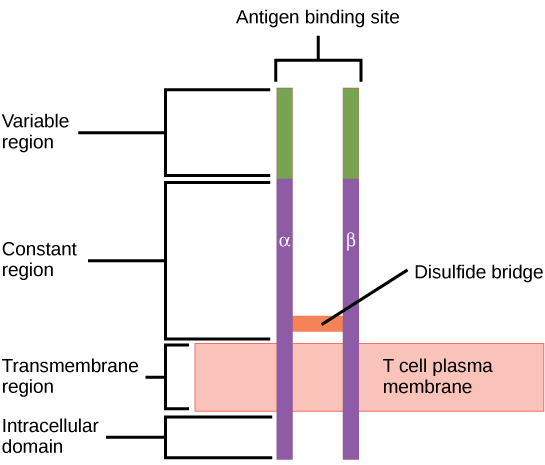 How do B and T cells differ with respect to antigens that they bind? 15. 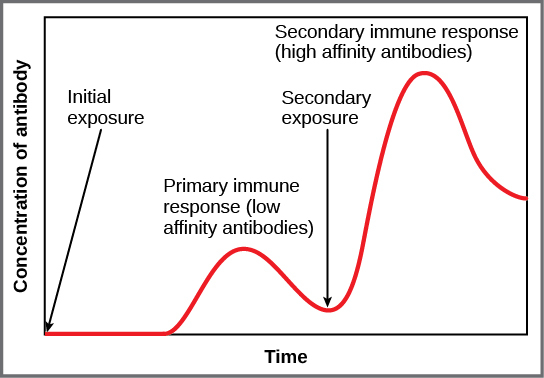 Why is the immune response after reinfection much faster than the adaptive immune response after the initial infection? 23.2. Adaptive Immune Response Copyright © by laesoph. All Rights Reserved.